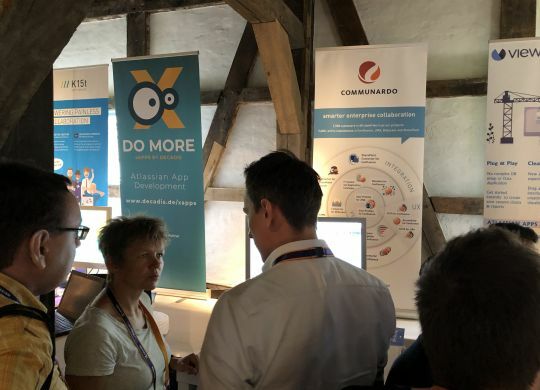 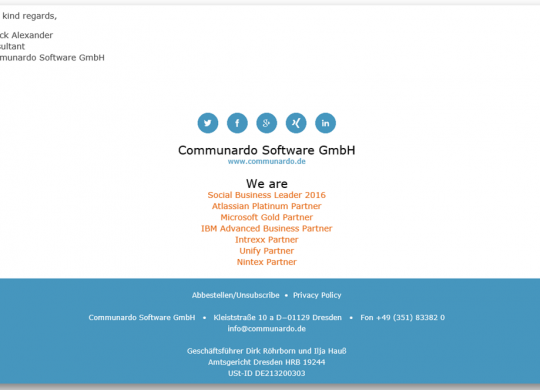 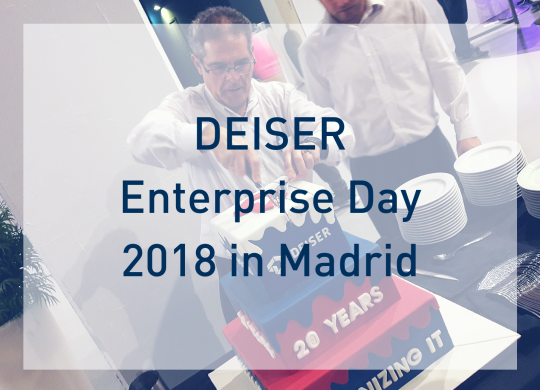 Der spanische Atlassian Solution Partner DEISER lud anlässlich seines zwanzigjährigen Jubiläums Kunden, Interessenten und Partner zum Enterprise Day 2018 ein. 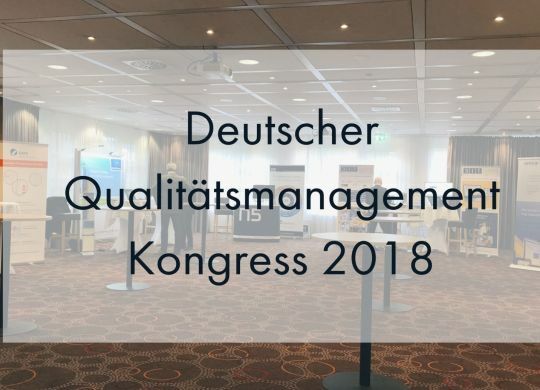 Unsere Kollegin Christina Schantin war dabei und berichtet vom Event in Madrid. 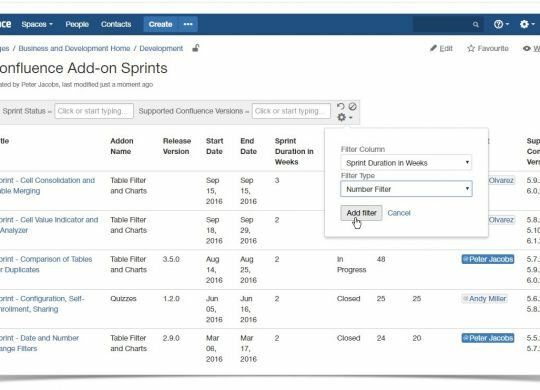 Navigate easily from the Service Desk customer portal to the JIRA issue view - with CUTE! 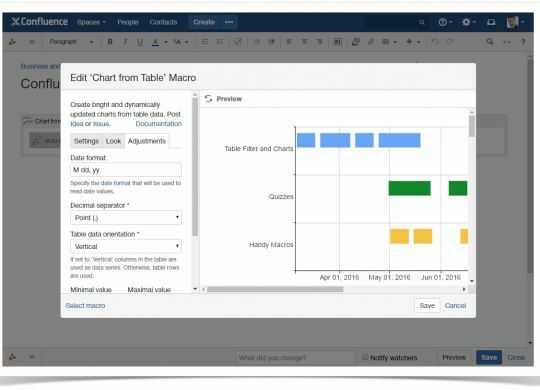 Im dritten Teil der Gastbeitrags-Reihe von Vadim Rutkevich erfahren Sie, wie Metadaten in Confluence mit dem Tabellendiagram Macro veranschaulicht werden können. 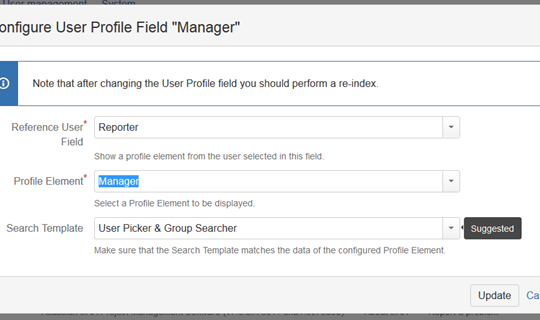 In the second part of this guest blog series, Vadim Rutkevich from StiltSoft will show you the way to filter tables with collected data by some specific criteria. 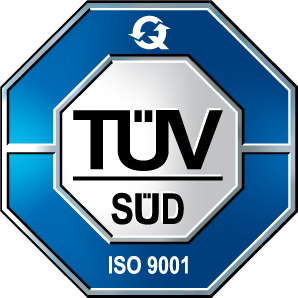 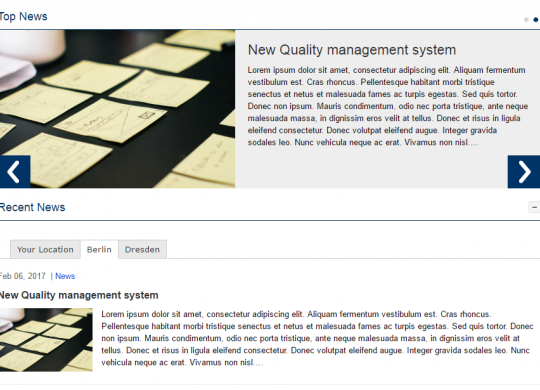 Im zweiten Teil der Gastbeitrags-Reihe von Vadim Rutkevich zeigen wir Ihnen, wie Metadaten mit dem Table Filter Add-on nach spezifischen Kriterien gefiltert werden können. 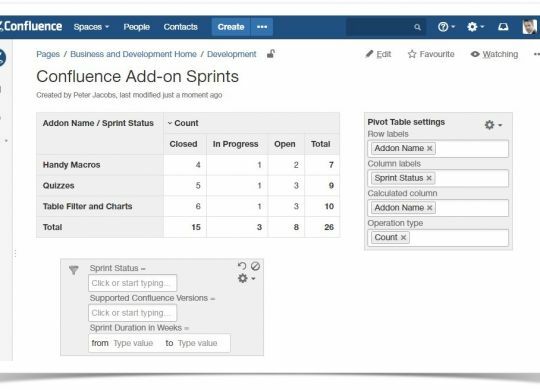 In this guest blog post, we will outline how Metadata for Confluence works together with the Table Filter and Charts add-on to analyze page Metadata. 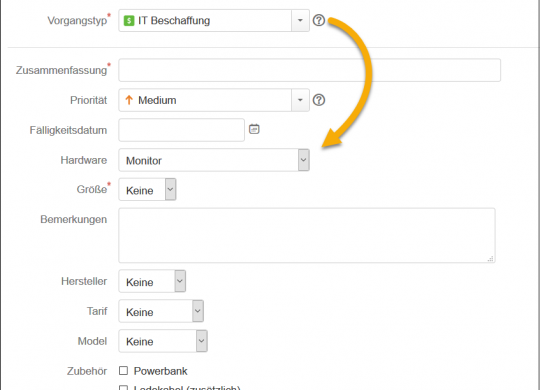 Im ersten Teil dieser Gastblogreihe zeigen wir, wie Metadata for Confluence und das Table and Charts Add-on die Analyse von Metadaten ermöglicht. 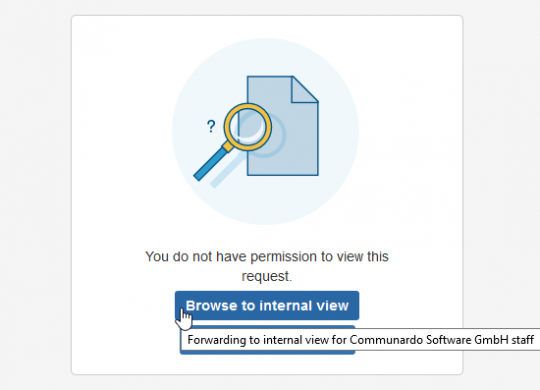 In the second part of the blog series, integration in Comala Workflows is introduced, where the Metadata add-on acts as a value reference supplier. 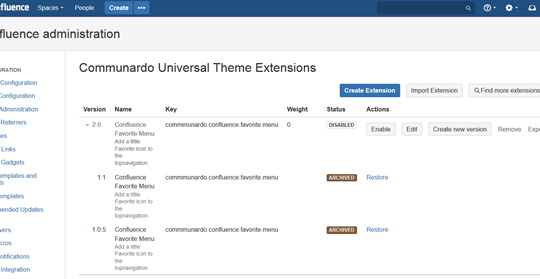 Accessibility for Confluence 2.0.3 supports Confluence 6 as well as Confluence Data Center. 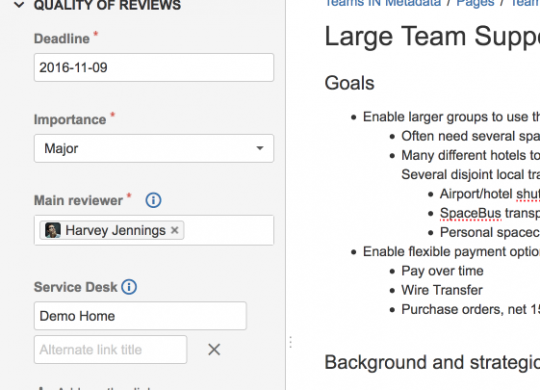 Broaden your user base to users with accessibility limitations. 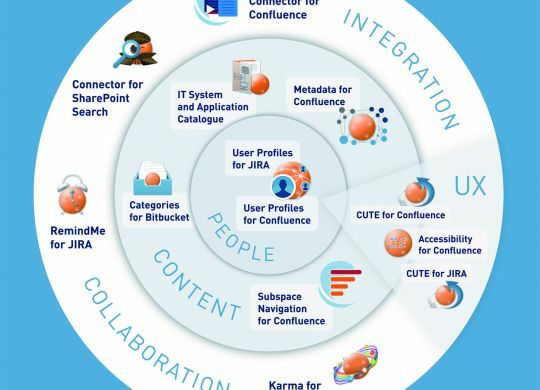 In this blog series, we'll introduce how additional structured information from the Metadata for Confluence add-on harness synergy with our partner's products. 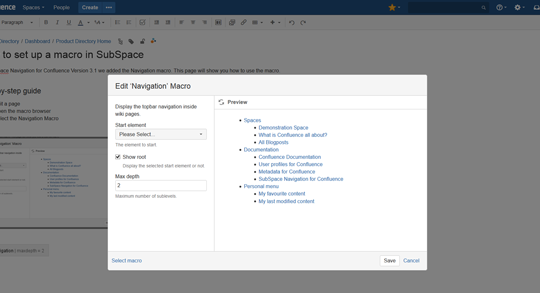 The new version 3.1 which is available now via Atlassian Marketplace offers a new way to include parts of your navigation menu into your confluence pages.